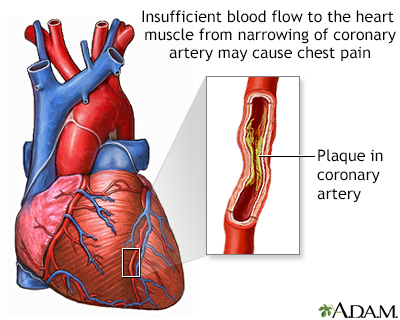 is predictable chest pain that lasts a few minutes or less and is usually relieved by rest or medication. It is often triggered by a similar degree of physical exertion or emotional stress. 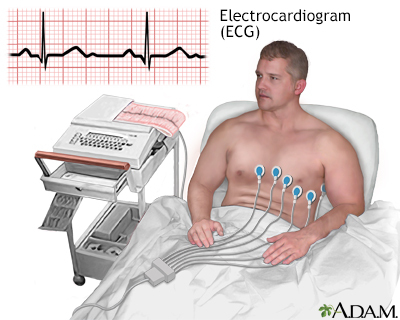 is unpredictable chest pain and may occur at rest. 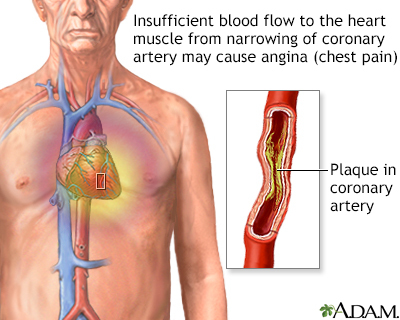 When patients with stable angina have symptoms that are more severe or occur with less and less activity it is called unstable angina. 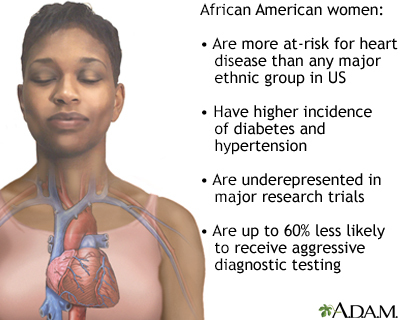 It is a more serious condition than stable angina and can be a warning sign of a heart attack.
. 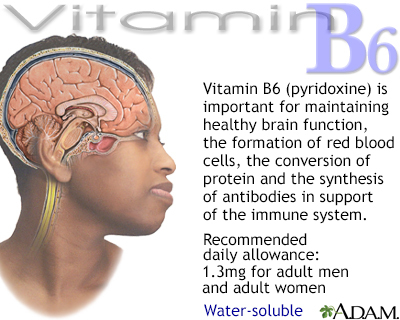 It is one of the normal processes in the body. 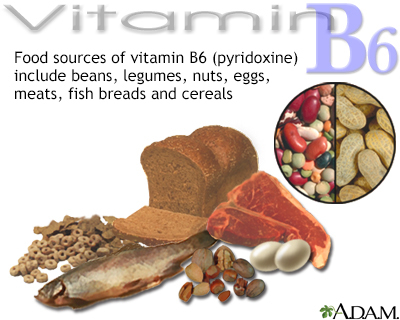 But under certain conditions (such as exposure to cigarette smoke or other environment stresses) these free radicals are overproduced.
. 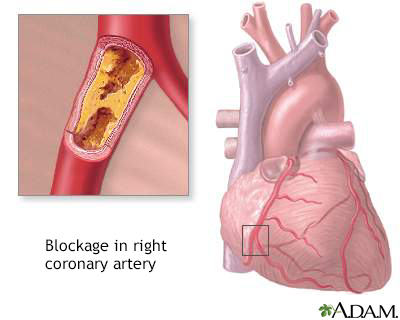 When it is severe enough in the coronary arteries, it causes injury to the tissues of the heart. , a common virus, may have similar effects. However, many people have been infected with these organisms, and no clear association has been found with any of these infections. , which is new, less predictable, and a sign of a more serious condition. 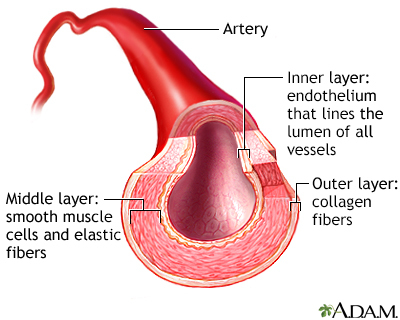 , during which one of the major heart arteries is completely blocked and full-thickness heart muscle damage may occur. 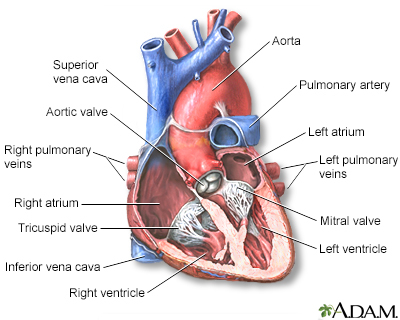 (the two chambers that receive blood from outside the heart). 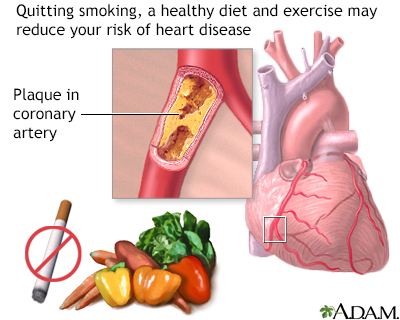 Refers to measures that everyone should take to reduce their risk of heart disease. 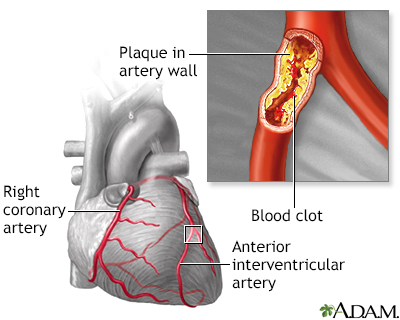 Refers to measures that a patient, already diagnosed with heart disease, should take to reduce the risk of having additional heart damage or complications such as a heart attack. 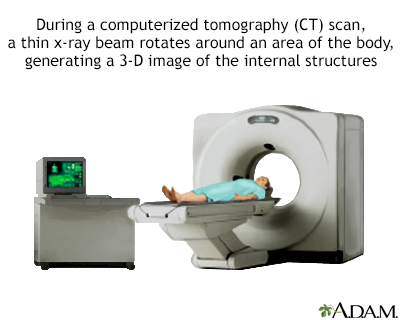 Many of these measures are similar or the same as those recommended for primary prevention. take PDE5 inhibitors. 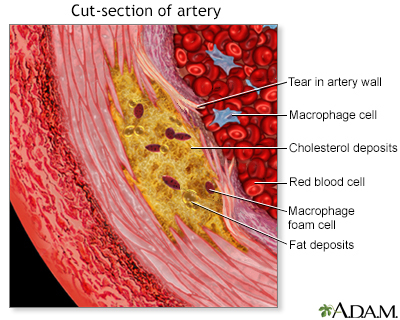 PDE5 inhibitors should be used with caution in men who have recently suffered a heart attack or stroke as well as men with unstable angina.
. 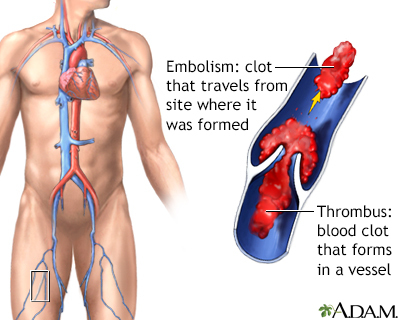 Both antiplatelets and anticoagulants prevent blood clots from forming. But they work in different ways. 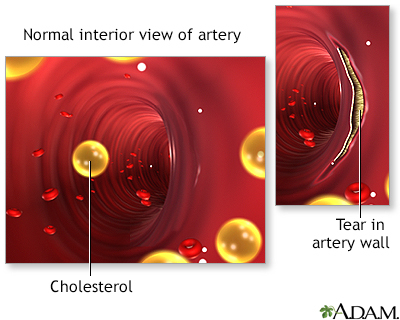 Antiplatelets prevent blood platelets from sticking together. 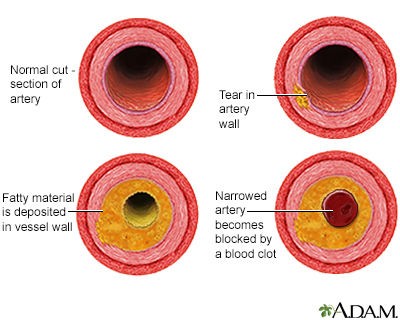 Anticoagulants are "blood thinners" that reduce blood clotting. 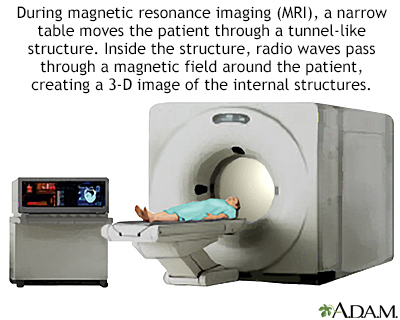 Both of these therapies carry the risk of bleeding, which can lead to dangerous situations, including stroke. Patients with heart failure have a higher risk for death with these drugs and should not take them. 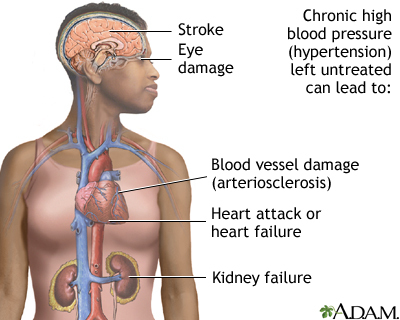 No one should abruptly stop taking calcium channel blockers because sudden withdrawal can dangerously increase the risk of high blood pressure. by passing a tiny deflated balloon through the catheter to the vessel. 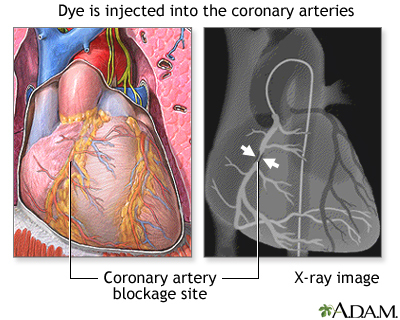 opening device instead of just balloon angioplasty.) 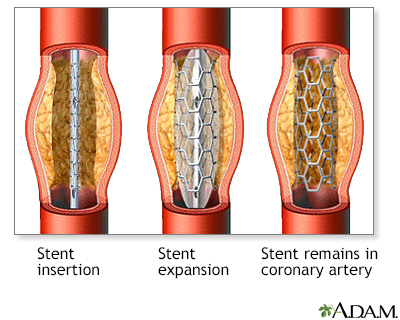 The stent may be bare metal or it may be coated with a drug that slowly releases medication. 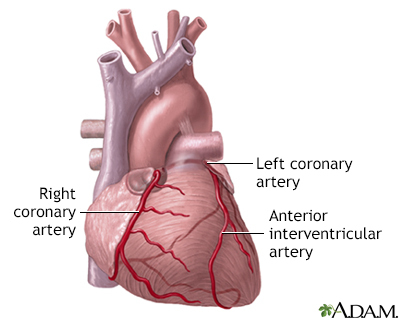 Click the icon to see an image of heart bypass surgery.